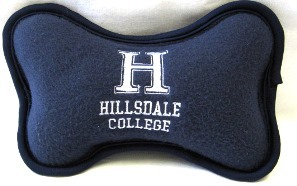 Navy blue fleece bone-shaped dog toy with white embroidered imprint. Squeaker inside. Size: 8" long.